Flat to very slightly concave bottom with thickened ring rounded on outside to slightly sharp upper edge. Flaring to convex lower body with slight carination on lower wall. Fired gray, brown towards outer surface; very slightly granular fabric with tiny glistening micaceous bits, rare larger. Surface slipped, matte slightly darker brown. 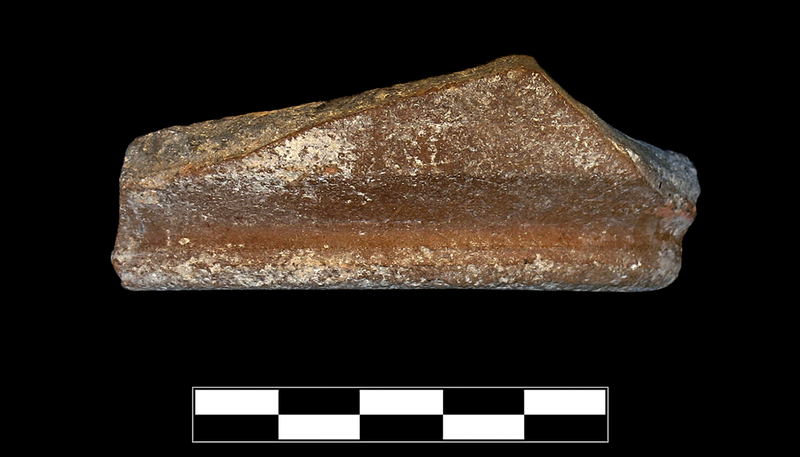 One sherd preserves roughly 1/3 of base and small part of lower body. Slight to moderate, sparse abrasion including breaks; moderate, thin patches of encrustation.